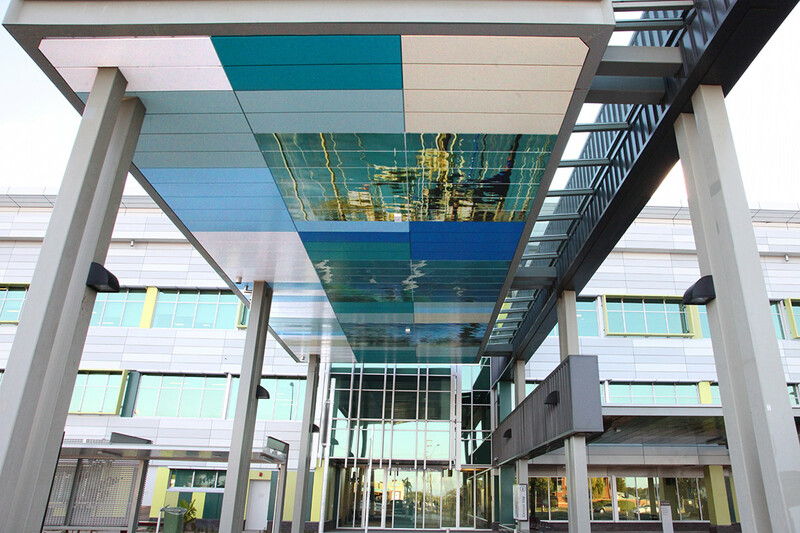 Installed in May 2014, the commissioner for this Mackay based project is Queensland Health and involved a $405 million redevelopment of Mackay Base Hospital. 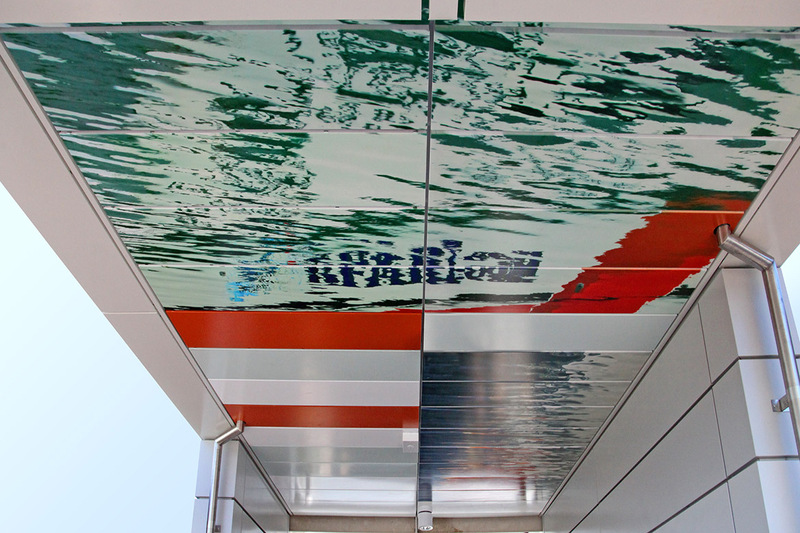 A number of public artists were engaged on the project. 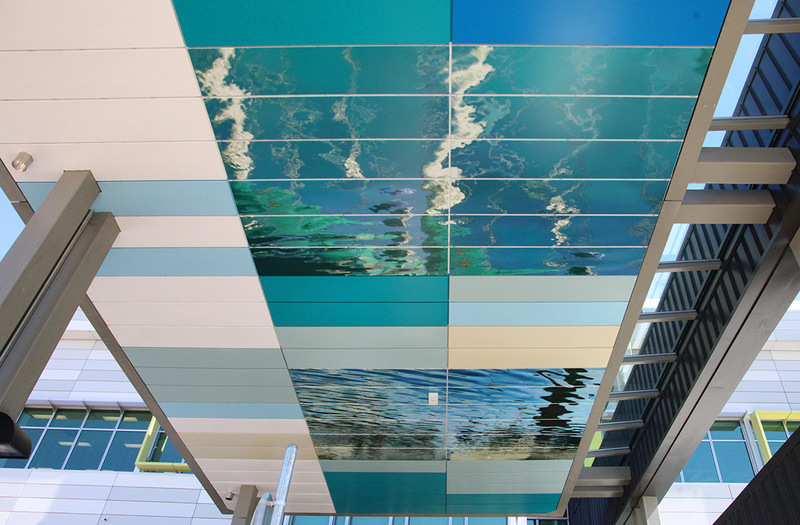 My brief involved creating Artwork on, as many as possible, of the new walkway entrance ceilings. All told these finally included A1, I, C1, D1, H1, H2 and K. The main entrance ceiling A1, off Bridge Road for example is 7m wide x 18m long. 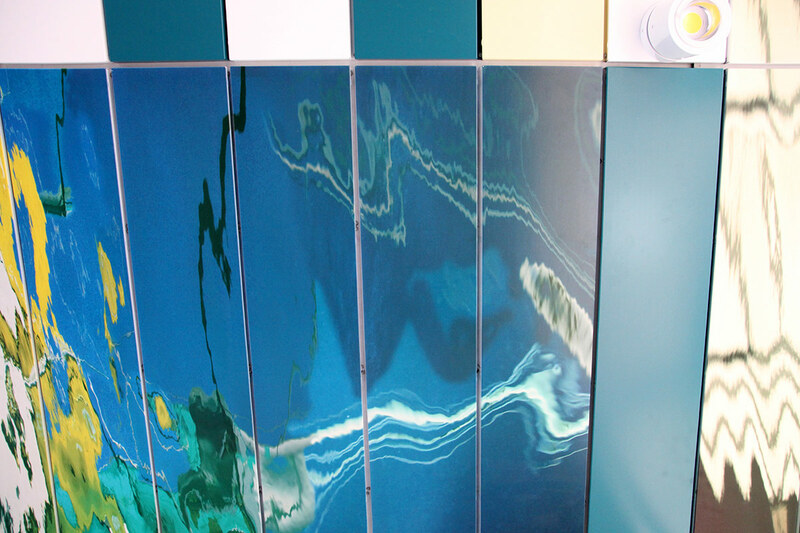 The combined scale of artwork (7 ceilings in total) including accompanying colour selection of adjacent coloured tiles was 300 square metres. (My images alone comprise 190 square metres.) 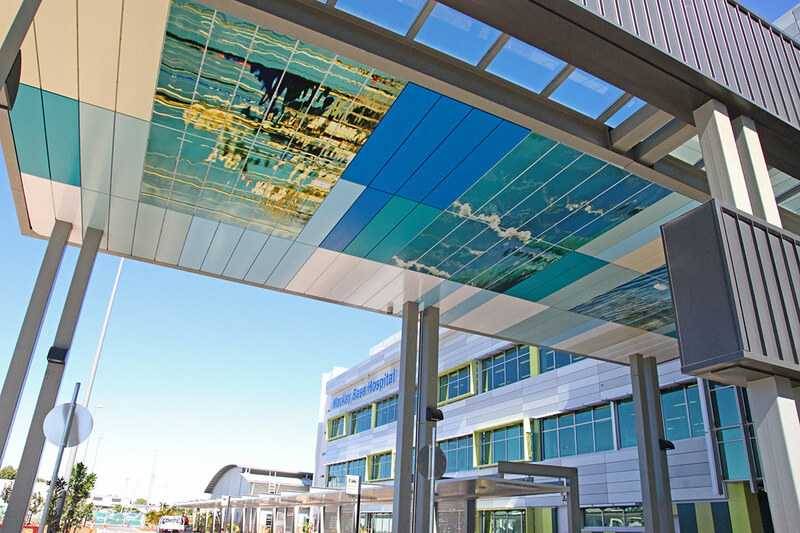 The images were printed onto Vitrapanel, which is used internationally in architecture for incorporation of solar resistant panels of colour. 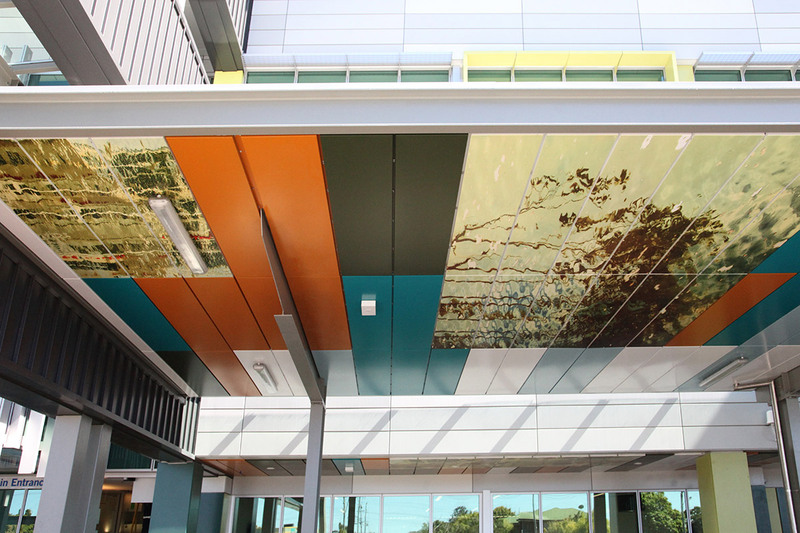 The Public Art Project Managers were Brecknock Consulting, with architects Woods Bagot and the overall project management by Baulderstone Pty Ltd. A Public art consultation group was made up of hospital staff and representation from the above project groups. 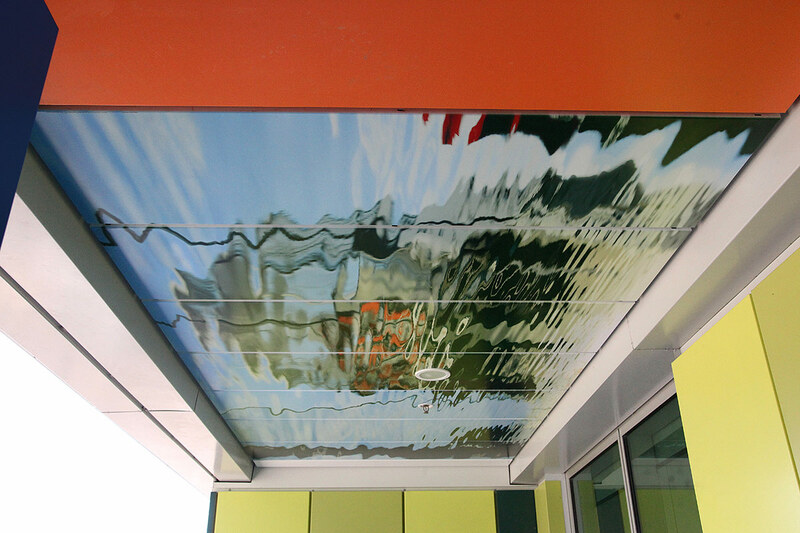 The artwork on walkway ceilings explores the significance of water to the Mackay region through a series of water reflections. The Pioneer River, on which the hospital sits, is uniquely a 'Blue River'. A characteristic of this is that the river changes from blue, from flooding seawater to green further up-stream where it collides with fresh water. 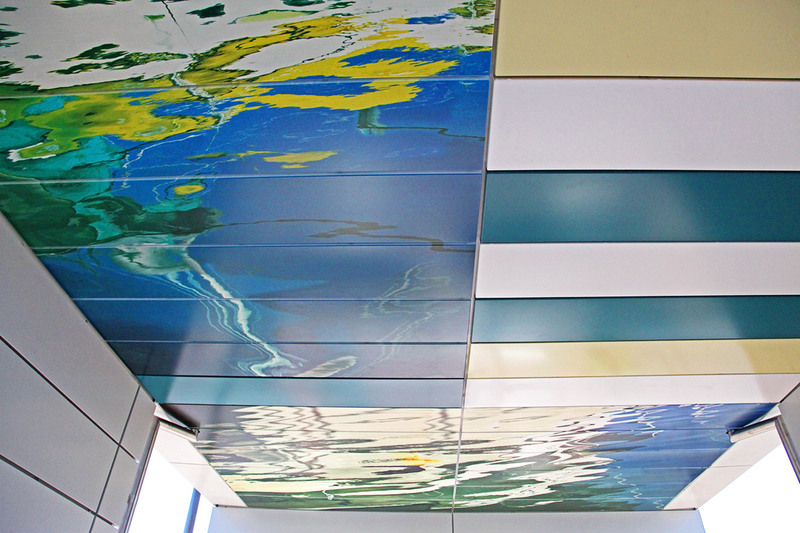 The significance of this geographical phenomenon influenced the choice of colours and selection of images for all ceilings. 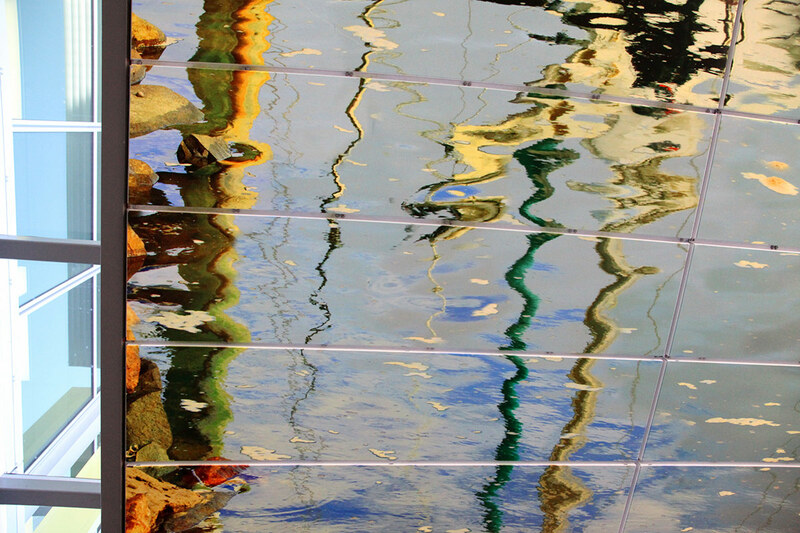 Blue changed to green as the photographic reflections moved from Mackay's Outer Harbour to the green water on which the hospital sits. Images include Mackay Marina, the Pioneer River and tributaries including Vines Creek mooring. The final images are taken near the hospital. 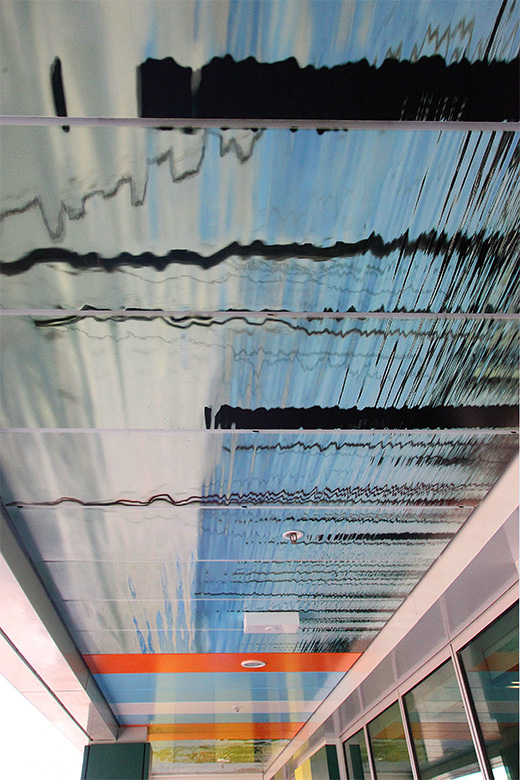 The work conveys an immersive experience where there is a play between the larger environment and ourselves as a microcosmic aspect, as a play between what is recognisable and abstraction, between micro and macro, between the smaller and larger patterns of life, the individual with the whole. 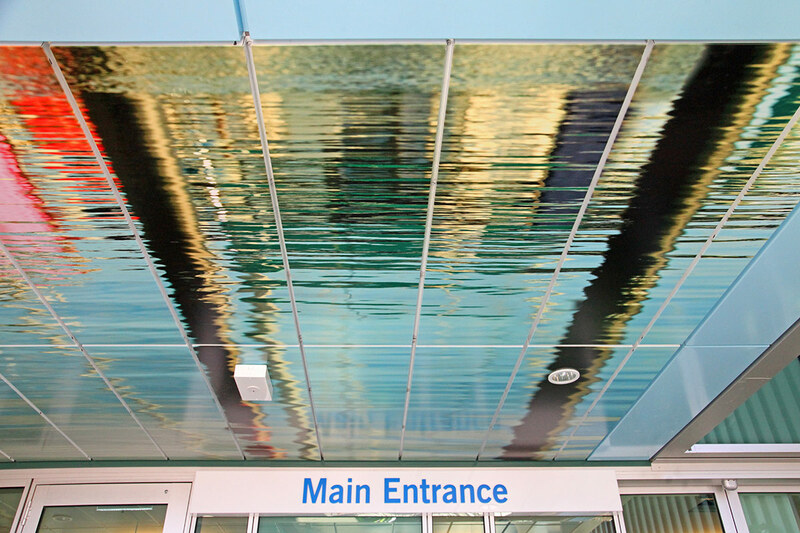 Images, which are calming and uplifting with light and water as the brush and palette are uplifting for visitors while offering a comment on the hospital ethos where the smaller aspects of individual care are important pieces of a larger more dynamic puzzle: 'Holism – the sum of the parts'. 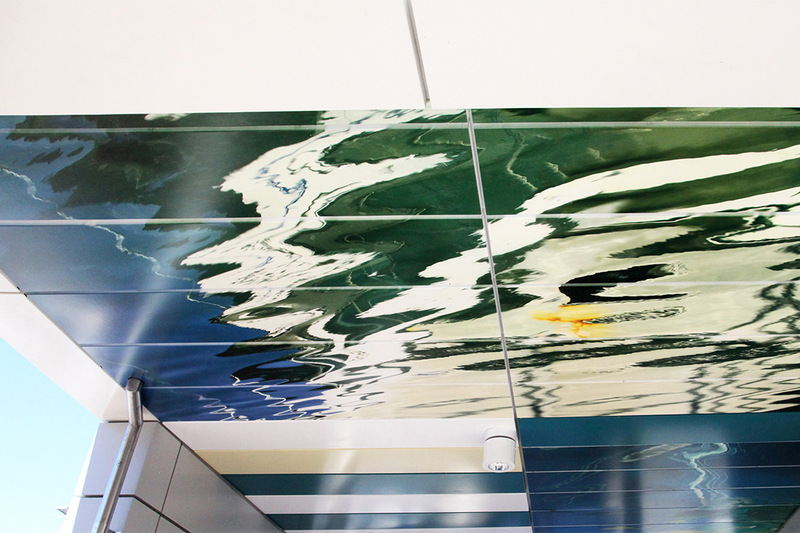 Importantly the sense of the images is in the psyche of all Mackay Residents, as people who have significant interaction with the surrounding water elements.